The first trailer for Dimension Films and Gonzalo López-Gallego‘s sci-fi horror thriller Apollo 18 has been released. Described by the tagline "There’s a Reason We’ve Never Gone Back To The Moon" and set around "the real mission to space in the 1970′s that was canceled by NASA." The movie is produced by Timur Bekmambetov and will hit theaters on April 22nd 2011. Check it out after the jump. 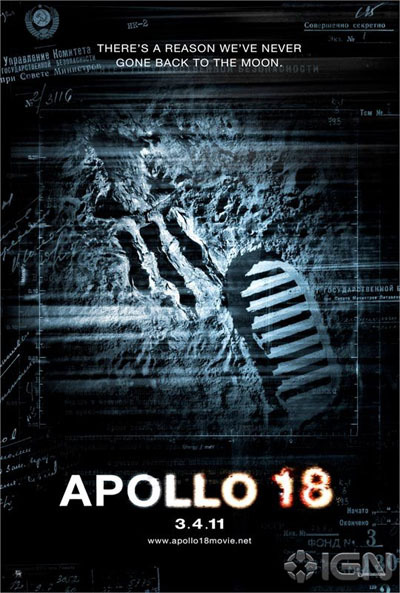 I'm reading: DIMENSION FILMS RELEASE THE FIRST TRAILER FOR [APOLLO 18]Tweet this!